Michael Hoey carded a second successive 72 to trail leaders Daan Huizing and Clément Sordet by eight shots heading into the final round of the weather-reduced Viking Challenge in Norway. The Belfast man is tied for 40th on level par, one shot better than Neil O’Briain (71-74) and Gavin Moynihan (73-72) with Gary Hurley (74-72) making the cut on the two-over par limit as Kevin Phelan (four-over), Chris Selfridge (six-over) and Stephen Grant (eight-over) all missed out. Heavy showers had prevented the second round from being completed on Friday and after more rain overnight, the decision was taken to reduce the tournament to 54 holes. 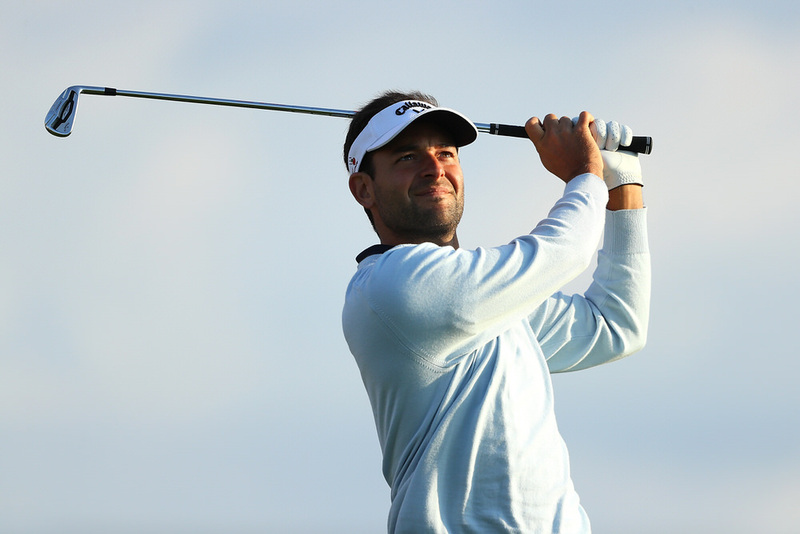 Play did not start until 3pm local time, but when the second round got back under way it was Carlos del Moral who shone brightest at Miklagard Golf. The Spaniard showed no signs of being affected by the delays, following three birdies over the front nine with four more gains over the back nine to sign for a 66. The 31-year-old will start the final round two shots behind leaders Sordet and Huizing. “I feel very comfortable on this type of golf course,” said del Moral, who is six under overall. “With the amount of rain we have had over the past three days the greens are rolling really nicely, and my putting was really good so I was able to take advantage of the conditions. “Tee to green I didn’t play that well, I am working on changing my swing at the moment, but overall I am very pleased with my score. “I hit a lot greens, not that close though, and that meant I had to be really good with my putter. Luckily it was really hot today, and I am so happy to have done so well in difficult conditions. “It was actually not too bad for me today. I arrived at the course at six in the morning but when we heard that play had been suspended I went back to sleep for a couple of hours – so it was just like a normal day really. Also impressing were America’s Chase Koepka and Italy’s Aron Zemmer, who both shot 67 to move to five under par overall.